Following recent announcements from the BBC and Al Jazeera revealing the forthcoming launch of more HD channels on Freeview, and recent tests in the London area, Freeview has today confirmed that further reception information for viewers will become available by mid-November, alongside coverage predictions for local TV services. Multiplex operator Arqiva has recently indicated that 50% of the UK population will be in an area covered by an extra multiplex of Freeview HD channels by Christmas, and the first local TV service goes live at the end of November in the Grimsby area via a new local TV multiplex operated by Comux. The currently available coverage checker does not show who will be in the coverage area for extra HD channels, nor does it provide any information on local TV reception. Currently only a list of extra HD transmitter sites and Ofcom local TV coverage maps give clues on coverage, but without detailed information down to individual postcode location. Freeview has confirmed that it is "working on an updated coverage checker (available in mid-November) to include information on these new services and local TV services." The Freeview coverage checker will feed off the Digital UK postcode checker, used by industry - including aerial installers - to assess Freeview coverage across the UK. BBC Three, BBC Four, CBBC, CBeebies, BBC News and Al Jazeera English are all confirmed as launching in HD on Freeview. All viewers with Freeview HD will get BBC Three and CBBC in high definition on channels 73 and 105, with the remaining services launching on the limited coverage extra multiplex. 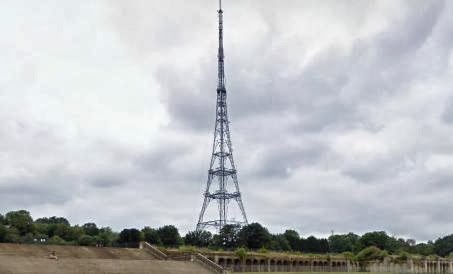 Coverage of the extra multiplex will be increased during the first six months of 2014, with 70% of the UK population expected to be served by the signal by Wimbledon. Further increases in the coverage of HD channels is likely to depend on proposals to switch the Freeview service to the DVB-T2 transmission standard from 2018, forcing a second switchover for viewers with non-HD Freeview receivers.